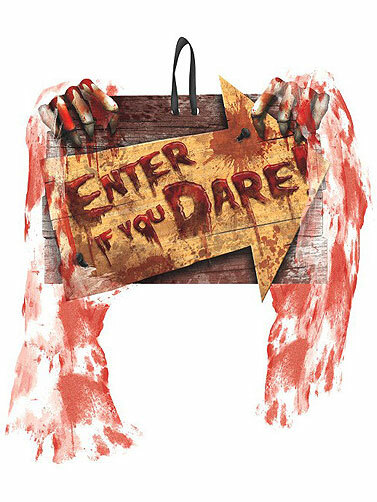 Let this Creepy Carnival "Enter If You Dare" sign lead the way to your carnival of doom. Perfect for Halloween and could be used in a number of display themes. Wood look sign is made of fiberboard with an attached bloody cloth. Loop hanger for aid in displaying. Creepy Carnival Enter If You Dare Sign measures 9"H x 11 1/2"W.